The YMCA of the USA is pleased to announce that the 2018 YMCA Masters National Meet will be held in the Fort Lauderdale Aquatic Complex Fort Lauderdale, Florida. The 2018 dates will be April 19-22, 2018. The City of Fort Lauderdale is looking forward to welcoming YMCA athletes, coaches, families and friends in the spring and has a long tradition of hosting the YMCA National Masters Meet. Fort Lauderdale has hosted the YMCA Masters National Meet twelve years (1992, 1993, 1998, 2002, 2004, 2006, 2008, 2009-2013). Y-USA is pleased to partner with the Courtyard by Marriott Fort Lauderdale Beach for accommodations for the 2018 Masters and Diving Nationals. Instructions for making hotel reservations are forthcoming. This hotel is conveniently located just down the street from the Ft. Lauderdale Aquatic Center. We encourage you to utilize this preferred hotel and make your reservations promptly. The reservation deadline is April 2. Please reserve early as we expect the rooms to sell out. We look forward to working again with the committed staff of the Fort Lauderdale Aquatic Complex and our other local partners to provide a high-quality meet experience so that our athletes can achieve their full potential. 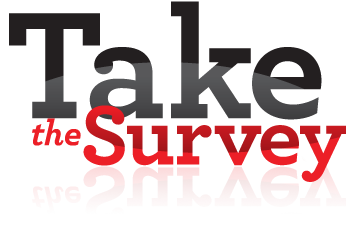 While the 2018 National YMCA Masters Meet is now over, one more task remains: To Take Our Survey. Many people volunteered their time to plan and run this meet. We now ask you to "volunteer" a few minutes of your time to give us your valuable feedback. Whether your opinion is favorable or critical of the meet, your ratings and comments are important to the National YMCA Masters Meet's continuous improvement. Please use the reservation link below or contact the hotel directly to make your hotel reservations. Mention that you are with the YMCA Masters Nationals to secure the group rate. You will need a credit card to hold your reservation. Group Rate: The group rate is valid from Monday, April 16, 2018 until Sunday, April 22, 2018. As a courtesy, if you'd like to extend your stay in Ft. Lauderdale, the hotel will honor the group rate up to three days before Monday, April 16 and three days after Sunday, April 22, based on availability.